I wrote earlier this year that iconic brands become icons for a reason. A long history, stability, and consistency in product is a sure path to consumer’s palates and pocketbooks. 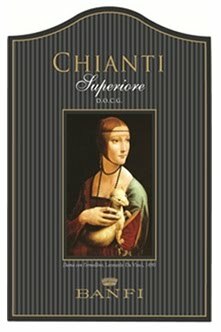 I had two wines this week that are made by iconic producers – Banfi’s new Chianti DOCG Superiore and J. Lohr’s Cabernet. Banfi is one of the oldest names in Italian wine. Their new Chianti Superiore is a debut wine from the 2008 vintage. 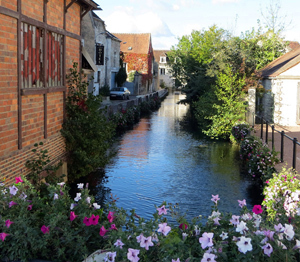 Classifications in Italy and France are all about the national designations of geography. A Chianti Superior comes from the Chianti region, south of Florence, but not inside the very best Chianti Classico region. In simpler terms, it’s a better Chianti. This wine is 75 percent Sangiovese with Cabernet and Canaiolo added. The Superiore designation means the wine can be aged in just the bottles without oak. But Banfi treats this wine to a brief four to five months in French oak before bottling and release. The wine is an easy drink, soft and smooth Italian wine. It’s unremarkable but pleasing. This wine would pair nicely with most pasta, pizzas and stews. It’s easy to drink and widely available. At $11 a bottle, it’s easy to see this on wine shop shelves all across the nation. I tasted this Banfi wine as a trade sample. J. Lohr wines from Paso Robles, California, is one of the iconic names from Central California. The region has been “hot” in recent years after the movie Sideways exploded Pinot Noir wines and additional interest built for traditional Rhone grapes now grown in the San Luis Obispo area. The J. Lohr Cabernet was simply one of the best Cabernets at the $15 price point I’ve ever had. The fruit was rich with cherry, plum and balanced tannins. I had this wine with a nicely grilled ribeye then enjoyed sipping it for the rest of the evening. The wines of the Central coast area are rich and full bodied. Lohr has been producing great wines since the 1970s. 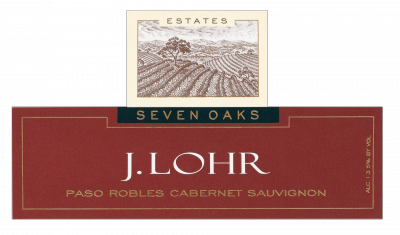 J. Lohr is easy to find and simply one of the best Cabernets you’ll find at the $15 price point. Give it a try!